Just like how some foods need an important ingredient to bring out the best taste, is also how some businesses need an important ingredient to ensure that they are noticed on the internet. But the question comes knocking; what is the single most important ingredient for businesses to bloom on the internet? The answer is SEO (Search Engine Optimization), which is essential for your brand and website to be noticed on the internet. Even if your website is well designed and informative, you cannot do without SEO. Internet users multiply every day with over 1 billion users daily. Because of this traffic generated on the internet, nearly 60% of all businesses worldwide are now representing themselves on the web. The purpose of SEO and a Virginia SEO company is to make sure your website is found on the first page of the organic listings seen by web users who are searching for a business that suits exactly what they are looking for. It is at this point that our SEO agency comes to play as an important ingredient to enhance your company’s growth and visibility. SEO is the gradual process of boosting the traffic and ranking of one’s website through organic searches. Organic searches are not sponsored links or advertisement such as pay-per-click but are “natural” means. However, for your site to attract the traffic it needs, it is mandatory to have your website ranked up. According to statistics, it was discovered that nearly 80% of all internet users use or visit organic listings rather than paid listings. Most leading search engines are now making use of “crawlers” or “spiders” to detect web pages for their algorithm search results. The function of these crawlers is to search for the most relevant content available to the search being performed from the user end. It is important that your website is fully created with the “theme” of your business. The goal of our SEO agency is to bring the most relevant customers to your website. We’ll drive targeted organic traffic to your website locally and national. We strive to get your business on every map by optimizing your pages for major search engines. To boost rankings faster we will develop a link building program from trusted domains. We will analyze the kind of audience you are planning to attract. Adequately research the keywords you want to appear for. Create optimized content that contains the relevant keywords associated with your services. Creation of authoritative backlinks to your website. This above process will help to pay less attention to the irrelevant keywords and make us pay attention to the most relevant and beneficial keywords to use in our campaign. However, Local SEO always develops a link building strategy for every client we take on board. 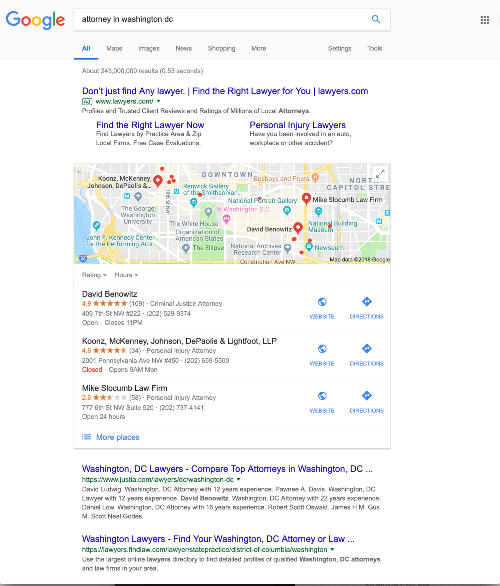 For the more competitive keywords, we usually develop a more customized link building strategy, so the website can get better results on the SERP’s. Also, several variations of your keywords will be made use of in your backlinks; this will help generate a perfect balance and density that is essential due to recent Google updates. Moreover, we will definitely build or correct your website’s architecture, whether we are building your website from scratch or just optimizing an existing site. This will guarantee that your website is easily accessible to search engine crawlers. Local SEO will then do a deep keyword research on your niche and develop your sites Meta Tags, content as well as cleaning your website’s code. Then we round off by building backlinks and checking densities as explained above. We then create link building campaigns and submit your website to business directories. Search engine optimization definitely requires more than just directory submission, it needs special links with anchors to develop the results you need. Bear in mind that link building requires consistency and dedication because traffic can drop in a matter of weeks if stopped. This is part of our formula for increasing Internet traffic and classifying your business. Our SEO agency is made up of experienced professionals who are eager to provide quality services to our growing customers. Developing and following up with Googles updates allowed us to stay ahead of the competition. Note that we do not get involved in spam in our SEO marketing. There are no blackhat tricks going in this company. We simply are just really good at what we do. For further questions please contact us today, we are located right in Leesburg Virginia. Call, so we can schedule a free 15-minute strategy call with you. Get a quote today and let us explain your options free! Contact Us Today for more information on how we can help market your business digitally. Schedule a Quick Call With Us Today! Does your business need help in getting more leads and customers? Fill the form below to schedule a quick 30-minute assessment. We’ll map out a strategy so you can start to attract more clients and leads NOW!